Hello my lovelies, it's Chris here with the winner and Top 3 of last week's 'Anything Goes' Challenge. 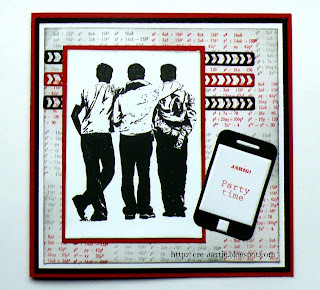 A brilliant masculine card, love the stamp the clean design and colour choice. 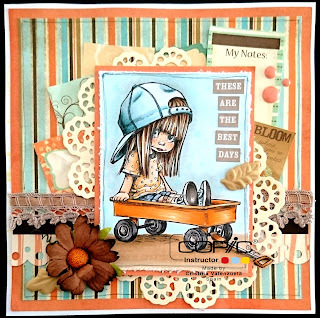 Fabulous design, love the layout, colours and die cuts. Great positioning of the stamping and use of white space. Such a sweet image and fabulous colouring. The design, papers and embellishments are beautiful. A perfect CAS card! 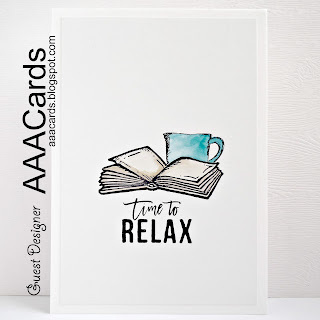 I love the image and sentiment together...my idea of relaxation! I'm sure everyone will agree that these talented ladies have earnt their Top 3 badge! A huge thank you to everyone who joined in last week. Fab 'n' Funky Challenges will be back on 6th September - hope to see you all then. Thanks for picking my card into the top 5. Challenge #361 - Anything Goes!